2005. 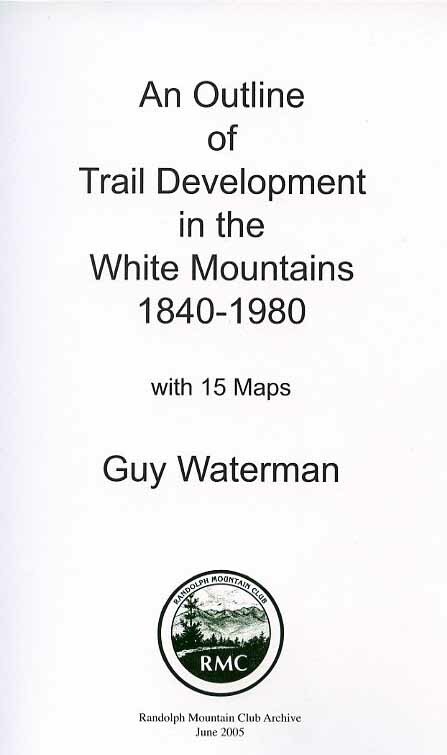 A fascinating chronology of trail development in the White Mountains compiled by the late Guy Waterman and published here for the first time by the Randolph Mountain Club. A treasure trove of information for any White Mountain history buff. Softcover and spiral-bound. 64 pp.